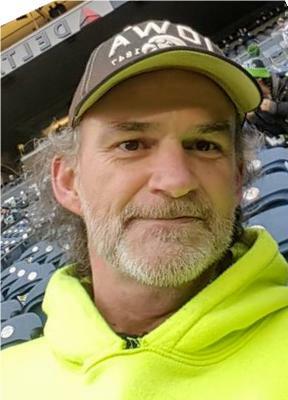 Patrick Henry Murphy, "Murph" died at home on Friday, January 25, 2019 at the age of 54. Patrick was born in Torrance, California to George Joseph Murphy and Betty Ann (Bergman) Murphy. When he was four, his family moved to Des Moines, Iowa where he attended North High School. He enlisted in the Army at age 21 and spent his tour in Bamberg, Germany. He was then stationed in Fort Polk, Louisiana, where his daughter was born. After the Army, he moved back home and worked at Firestone. He was later employed by EP2 and was a member of the Electricians Union, IBEW local 347. He enjoyed watching the Atlanta Braves and the Chicago White Sox. He was also a big fan of the Los Angeles Rams football team. Patrick was preceded in death by both his mother and father and and his companion, Melody Spencer. He is survived by his only child, a daughter, Malory Murphy-Gruver; grandchild, Tori Irene Gruver; and his son in law, Jason Gruver. He is also survived by his two sisters, Patsy Murphy and Betti Jo Murphy and also his step father, Ron Rutan. A memorial services will be held in the spring.